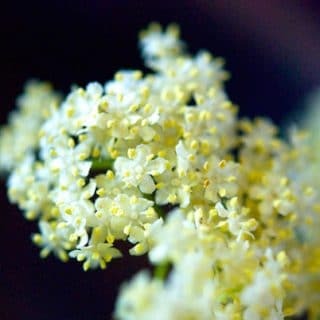 Making your own elderflower cordial or liqueur is a way to remember that moment when spring becomes summer, even in the depths of winter. Elderflowers are the color of butter and smell sweet and just a bit spicy. Their beauty fades fast, however. You will need to pick them before noon, as the aroma fades once the afternoon sun hits the flowers. Time is also important: You want to make this liqueur within an hour or two of picking the flowers to get the best effect. Mercifully, it could not be easier. Simply pick off enough flowers to loosely fill a quart Mason jar and pour over your alcohol. Keep in a dark place for a few weeks, strain, then add sugar to taste. What to do with it? Anything that normally requires St. Germain, which is a commercially available elderflower liqueur. Elderflower liqueur is especially good ice cold on a hot summer’s afternoon, or neat during winter. 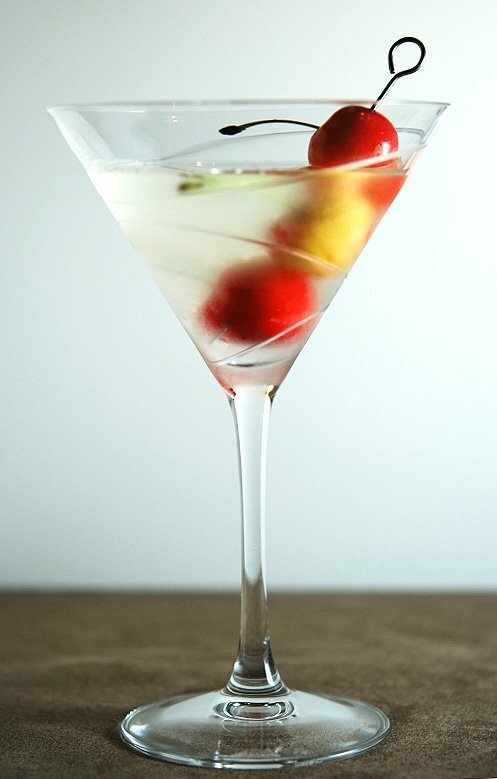 I like it with gin as an elderflower martini. 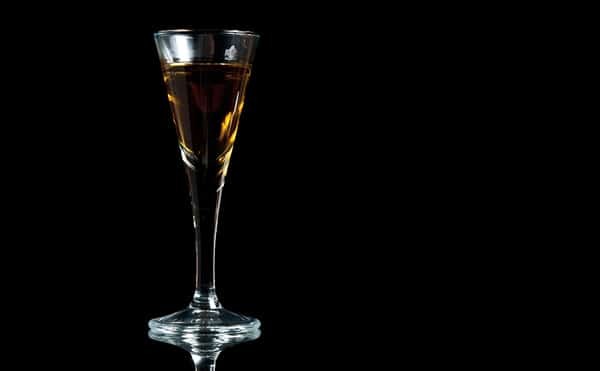 Keep in mind the liqueur will darken as it ages into a deep amber. This is normal. This method is meant for elderflowers, but it works well with other edible flowers, notably honeysuckle or citrus flowers or rose petals. Snip the flowers off the stalks into a quart Mason jar. Remember the stalks and leaves of elderberry plants are toxic, so snip off as much of the stems as you can. Getting them all is not possible, but spend some time removing the stems. Cover the flowers with the alcohol and seal. What alcohol? Your choice, really. Typical is 80-proof vodka, but I prefer 100-proof vodka. And once a year I use Everclear or some other 151-plus proof alcohol. Why? The flavors and aromas of elderflowers are not all extractable by water, or alcohol for that matter. I find that the higher the alcohol content, the cleaner and purer the elderflower flavor. Of course, if you use Everclear, you will need to cut the liqueur with lots of water or ice -- otherwise it will knock you down in a hurry. You will want to submerge the flowers completely in the alcohol. If you don't, the top layer of flowers will oxidize from contact with air, turning brown. This doesn't harm your liqueur, and for years I made it this way and it was fine. But a better way to do it is to use a narrow-necked jar and fit another, smaller jar into the opening to create an airlock. Or, you can weigh the flowers down with a small plate or jar lid or something. Keep in a cool, dark place for as long as you like, but at least a few days. I typically hold mine for two weeks, although I used to do a month. The longer you steep the flowers, the darker the liqueur gets. Strain twice. First through a fine-meshed strainer to remove the flowers and debris. Then strain it again through the same strainer, only with a piece of paper towel set inside it. This second straining removes very fine particulates, like the pollen. You can skip this second straining, but your liqueur will be cloudy. For a quart's worth, add between 1/4 cup and 1/2 cup sugar, depending on how sweet you want it. Seal the jar again and shake well to combine. If you are using Everclear, a good way to get the sugar into the liqueur -- and dilute it enough to make it drinkable -- is to mix the sugar with an equal volume of water, heat it until the sugar is completely dissolved, cool it back to room temperature, and then add it to the liqueur. Put the jar back in the pantry, and shake it from time to time until the sugar has dissolved. When it is, you are ready to drink it. It will last forever. 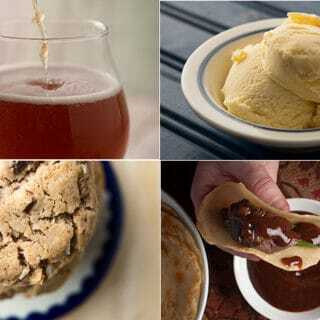 You can find more recipes for elderflowers as well as more recipes for homemade liqueurs her eon Hunter Angler Gardener Cook. Can I use dried elderflowers in this recipe? Lindsey: In theory, but I’ve never had good success with dried flowers. I did 2 things differently…. 2) I did not have the proper ratio of dried elderflowers to vodka so I guessed. The final result is my liqueur is dark and bitter. Is it possible to transform this into a delicious liqueur? Perhaps it just needs diluted and sweetened. I have not done that yet. Hopefully this can easily be fixed. I would hate to throw it away. Carol: I’d toss it. Once something is bitter it will always be bitter. I never use dried flowers because they have no aroma, and that is what you are looking for here. Even with fresh flowers, the liqueur will darken over time, though.